Associated Electric Cooperative (AECI) is the major source of electric power for an extended system of member-owned electric cooperatives, including Lake Region Electric Cooperative. The system is organized into three levels, each with its own set of responsibilities. The top tier of the system is made up of 51 distribution cooperatives in Missouri, southern Iowa and northeast Oklahoma. Lake Region Electric Cooperative is one of these cooperatives. These distribution cooperatives provide electric service directly to consumer-members, including businesses, farms and households. To provide the best service possible, distribution cooperatives take on many different responsibilities including installation and maintenance of power lines from substations to consumer-members, planning for the future needs of their service area, working with communities to encourage economic development and helping their members learn to conserve energy. 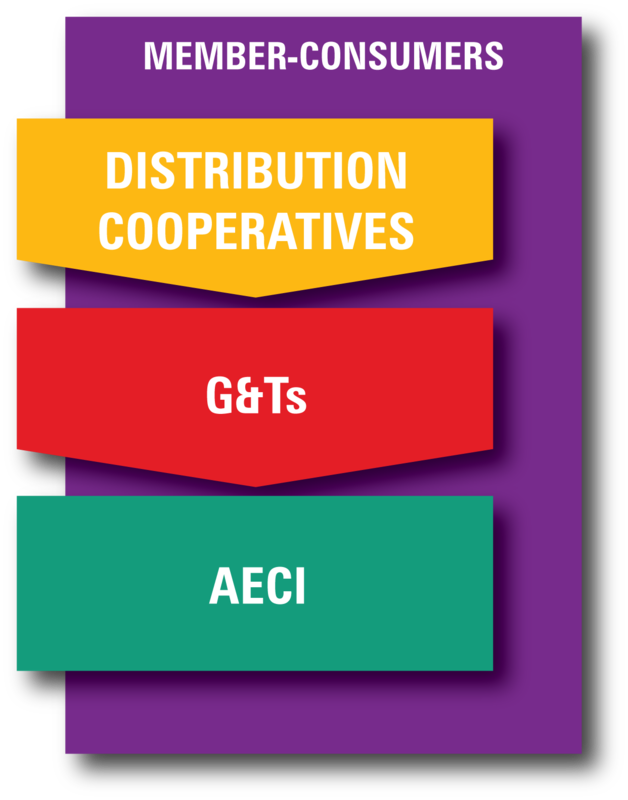 In the second level of the system are the regional cooperatives that transmit power from Associated to the 51 distribution cooperatives. These organizations are known as generation and transmission cooperatives (G&Ts) and they serve six geographical areas of Missouri, southern Iowa and northeast Oklahoma. KAMO Power in Vinita, Oklahoma is the G&T for Lake Region Electric Cooperative. G&Ts work on a regional level as construction agents and also own and maintain all electrical systems above 161-kilovolt. In 1961 the six G&Ts joined to form the third tier of the system, Associated Electric Cooperative Inc. Associated was subsequently given the responsibilities for generation and power procurement, leaving transmission as the primary responsibility of the G&Ts. In order to provide for the ever-growing demand on the system for wholesale electricity, Associated has built a flexible mix of resources, including thermal generation facilities, hydropower access and interconnections with neighboring utilities. In addition to its generation and power purchasing responsibilities, Associated also provides its member systems with economical services related to such business needs as insurance, marketing, economic development, environmental protection and labor relations. The three-tier system brings efficiency through specialization at each level of the system. The entire three-tier system benefits from the economy of scale and, since each tier can react quickly to changes, the overall competitiveness of the system is improved.